As a resident of Japan’s ancient capital, I sometimes find it hard to find a reason to leave this great city. 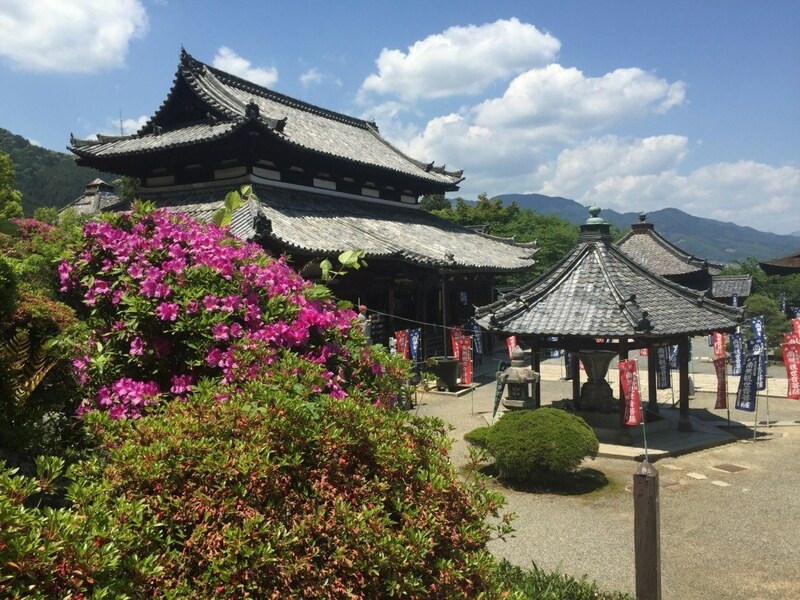 With more temples, shrines, museums, restaurants and bars than you can shake a kyosaku (Zen hitting-stick) at, there is so much going on in the city that you can easily spend four or five days of your trip here and still be ticking off the major sights. That being said, many of our customers decide to spend one of their days in Kyoto using this well-placed city as a base for hopping somewhere else for the day. The most popular destination is probably Nara, the capital city before Kyoto and home to the world’s largest bronze Buddha statue (I’ve also got some tips for a day trip to Nara here). If armed with a Japan Rail Pass, then Himeji, home to what is arguably Japan’s finest (and newly restored!) 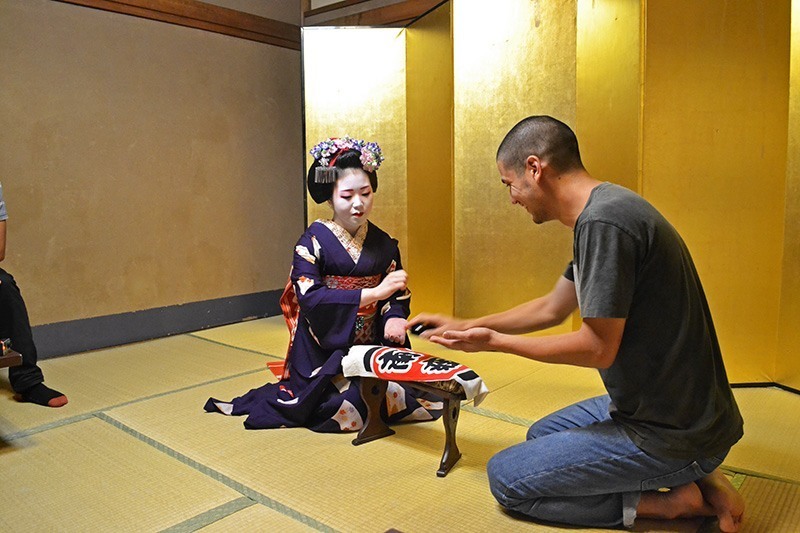 castle, and even Hiroshima are doable day trips from Kyoto. You’ll never get any arguments from me if you decide to spend your whole Kyoto stay actually in Kyoto. Nor will you receive any rebuttals if you decide to visit Nara, Himeji or Hiroshima. But if you would like to spend a day visiting somewhere beneath the surface and away from the crowds, then perhaps a day in neighbouring Otsu is just the ticket. 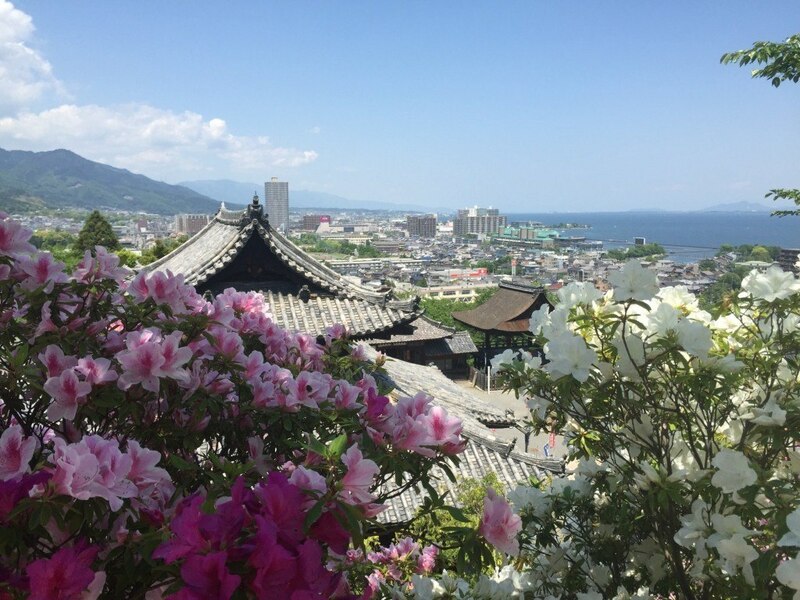 Otsu is the capital city of Shiga prefecture and lies on the shores of Lake Biwa, Japan’s largest freshwater lake. A day-trip to a whole other prefecture? Sounds like a long way? Never fear! Otsu station is just 9 minutes on the Biwako line from Kyoto Station! Marvellous! 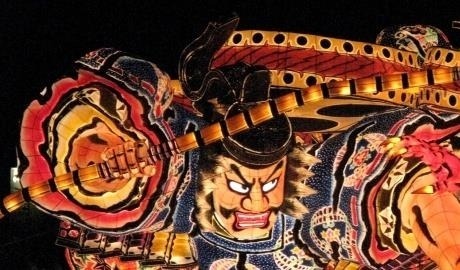 Now you’re here, let’s take a look at my top 3 things to see in Otsu. Disclaimer: All of the things are temples. I really like temples. Mii-dera is one of the four largest temples in Japan and consists of 40 buildings sprawled across the mountainside looking over Lake Biwa. The pictures above and below were taken in May, a great time to visit when the beautiful azaleas are in full bloom. You can easily spend an hour or so wandering along the various paths that meander through the temple complex. 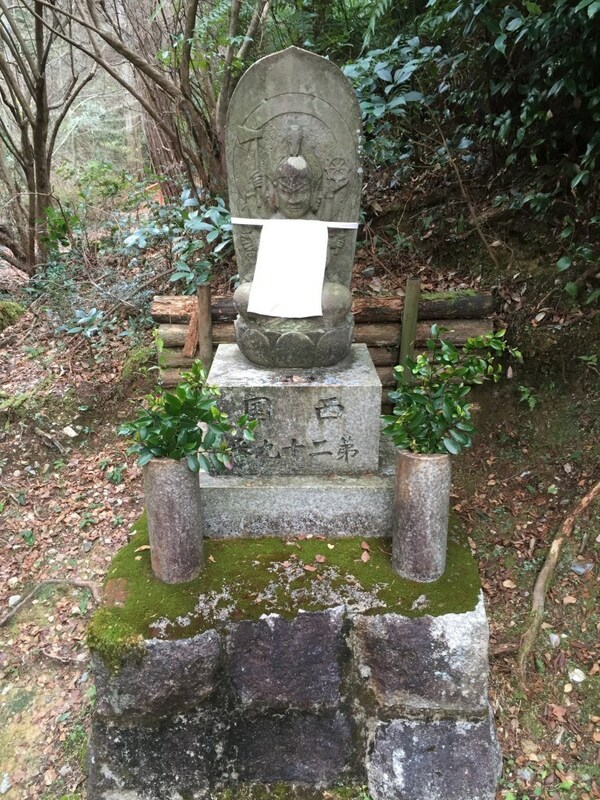 The name of the temple means ‘Temple of Three Wells’ although actually there is just one well in which three of Japan’s ancient emperors (Emperors Tenchi, Tenmu and Jito) had their first baths. The well is still here over 1,000 years later and you can have a peek inside. After checking out the first of Otsu’s sprawling temple complexes, I recommend moving on to another! Ishiyama-dera is another huge temple compound, where you will be greeted first by the Nio temple guardian deities at the main gate. 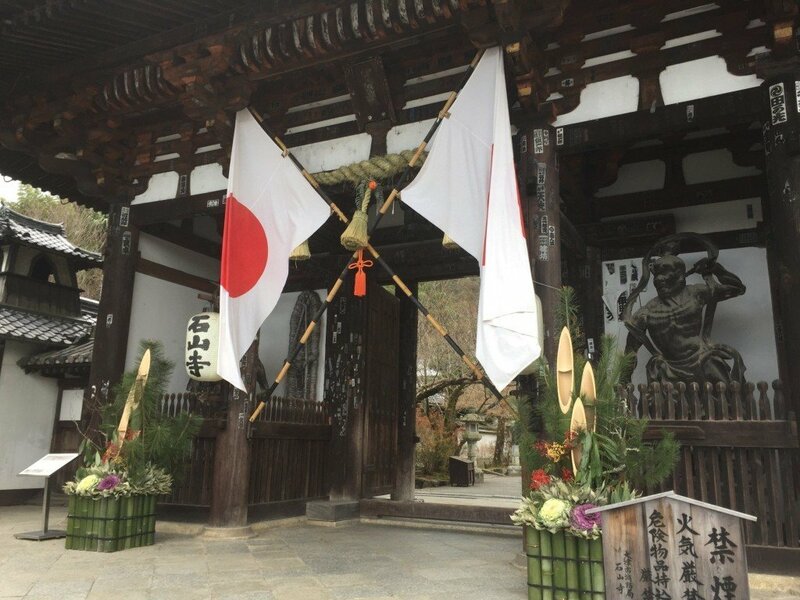 I visited this temple at the beginning of January, which is why you can see the traditional kadomatsu New Year’s bamboo decorations standing outside, too. They’ve gone all out this year with the addition of ornamental cabbages to the display. Party time! The temple’s name means ‘Stony Mountain Temple’ and it’s famous for the rock formations on which it’s built, which are made of wollastonite. Aside from the temple’s geological claims to fame, the temple is also the birthplace of the world’s first novel. 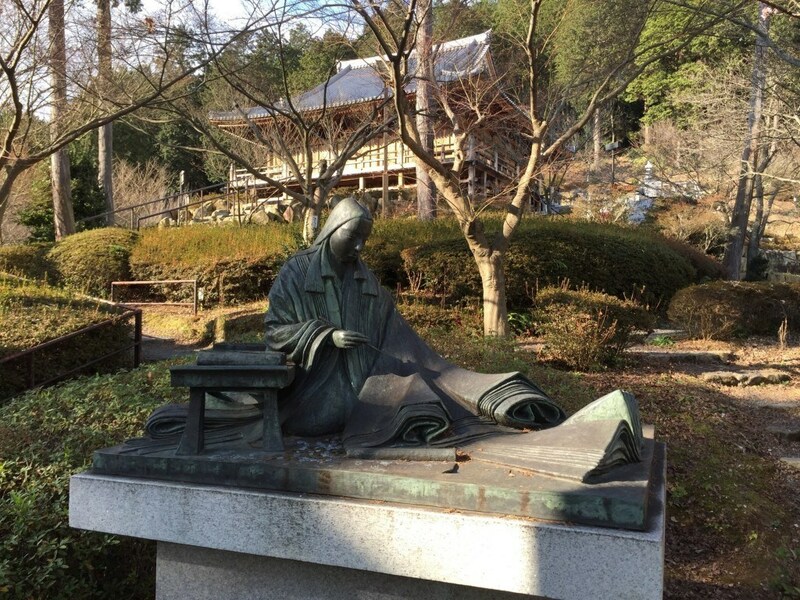 Murasaki Shikibu began writing her masterpiece, Genji Monogatari, or ‘The Tale of Genji’ during her stay here as a pilgrim in 1004 AD, supposedly receiving inspiration while gazing at the moon over Lake Biwa. As such, there are numerous monuments to her dotted around the temple complex. 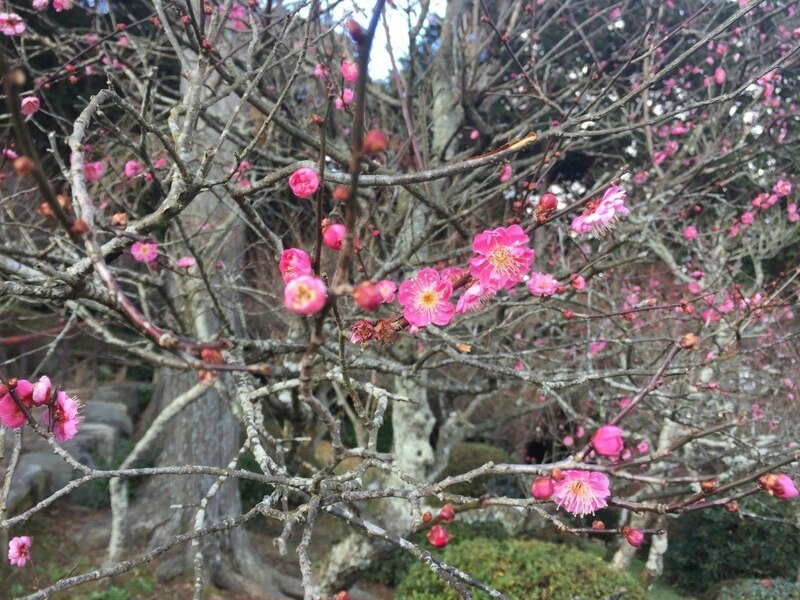 Another of the temple’s unique attractions is that no matter what time of year you visit, you can see flowers in bloom. Visiting at the beginning of January, I was somewhat sceptical, but was pleasantly surprised to see these early blooming plum blossoms. One final thing that I recommend seeking out during your visit is the miniature version of the Kansai Kannon Pilgrimage. The real version of the pilgrimage consists of 33 temples scattered around the Kansai region of Japan (a considerable area! ), each housing a revered statue of Kannon, the Buddhist diety of compassion and mercy. Traditionally the pilgrimage would be undertaken on foot and would take a number of weeks to complete. Here it’s possible to do the whole thing in just 15 minutes or so! 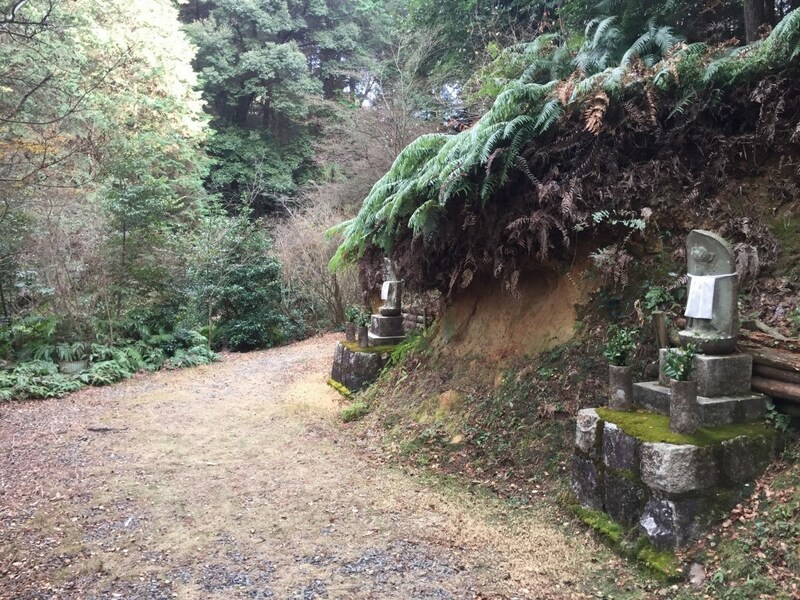 A path winds its way through the woods taking you past 33 statues depicting the different manifestations of Kannon that are enshrined at each of the temples on the real pilgrimage route. It’s said that if you complete the entire mini-pilgrimage with a sincere heart, you will earn as much merit as completing the real thing. I’m all for shortcuts to enlightenment! Just a few metres apart – much easier than doing the real thing! 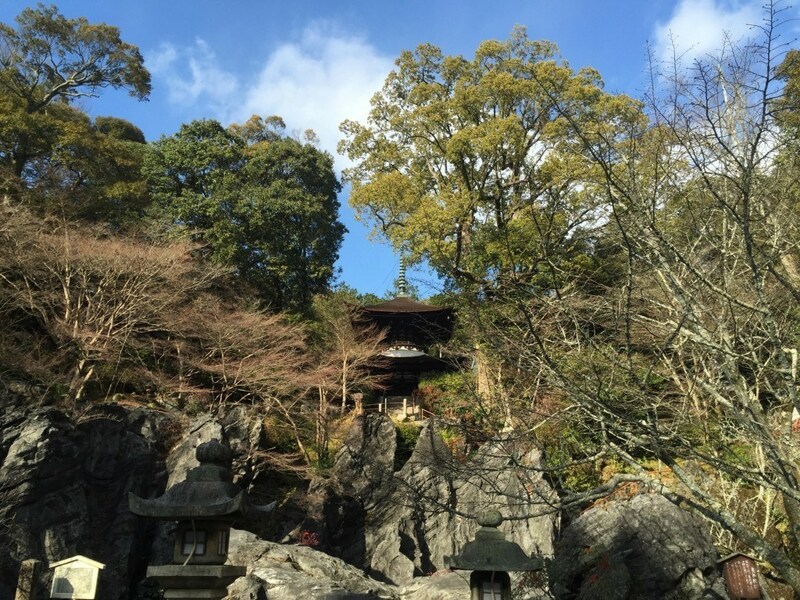 After visiting the two sprawling temple complexes at Mii-dera and Ishiyama-dera and getting enlightened on the mini Kannon pilgrimage, you may be in need of something smaller in scale to bring yourself back to reality. 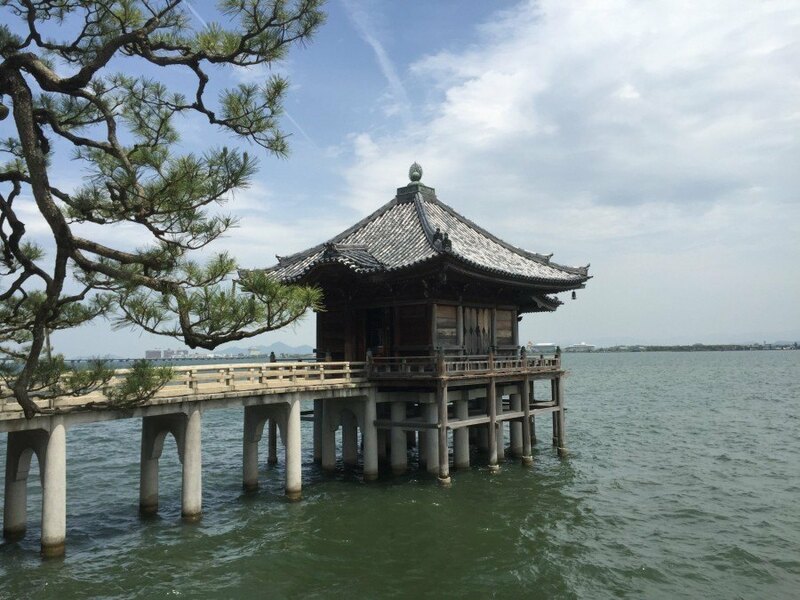 I recommend a trip out to Mangetsu-ji, a tiny temple on the shore of Lake Biwa, famous for its Umikido – a temple hall built on stilts over the lake itself. 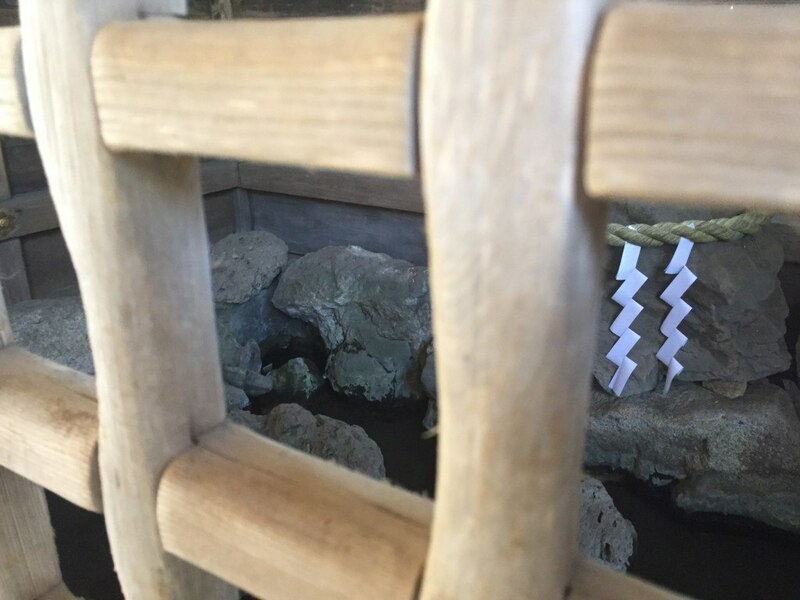 It’s a tiny little temple, but totally charming. 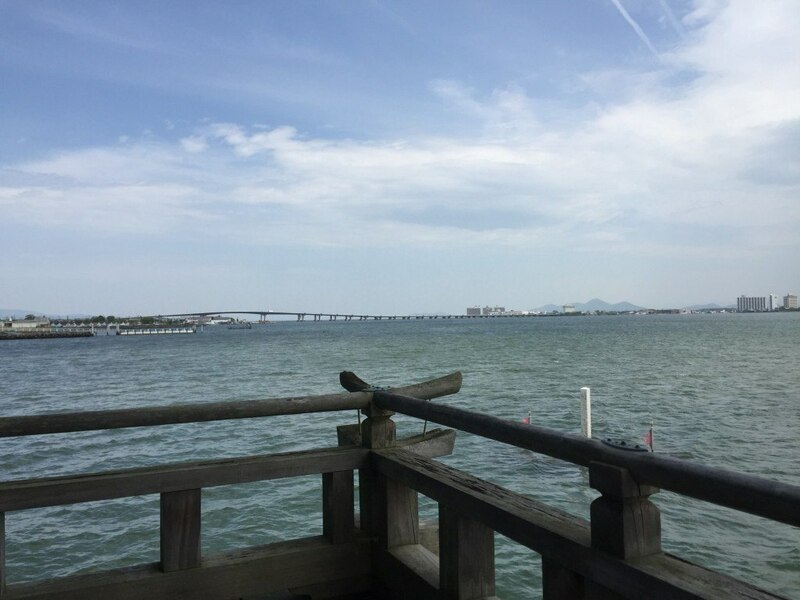 You can walk over the bridge and onto the Umikido itself and enjoy the views across Lake Biwa. 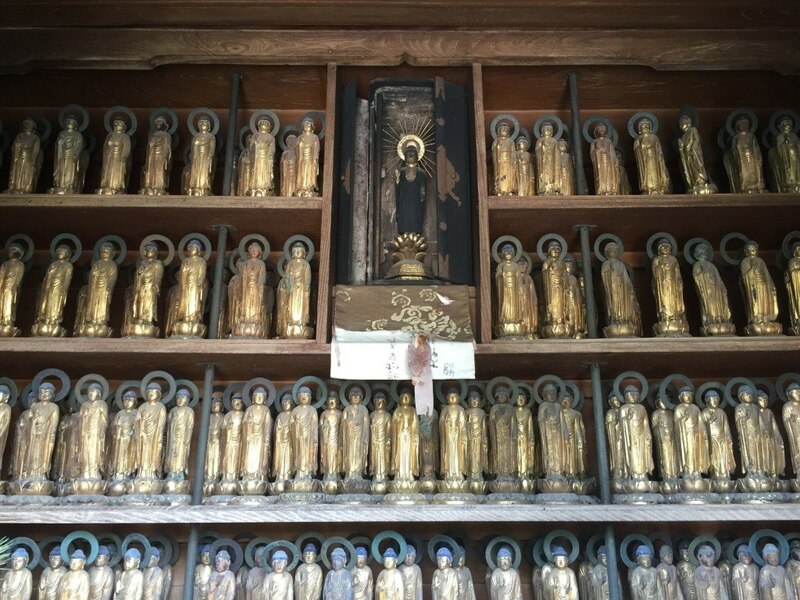 The inside of the Umikido is packed full of small statues of the Buddha donated by temple adherents. And that’s that! My three favourite places to go in Otsu, just under 10 minutes by train from Kyoto and largely ignored by tourists. 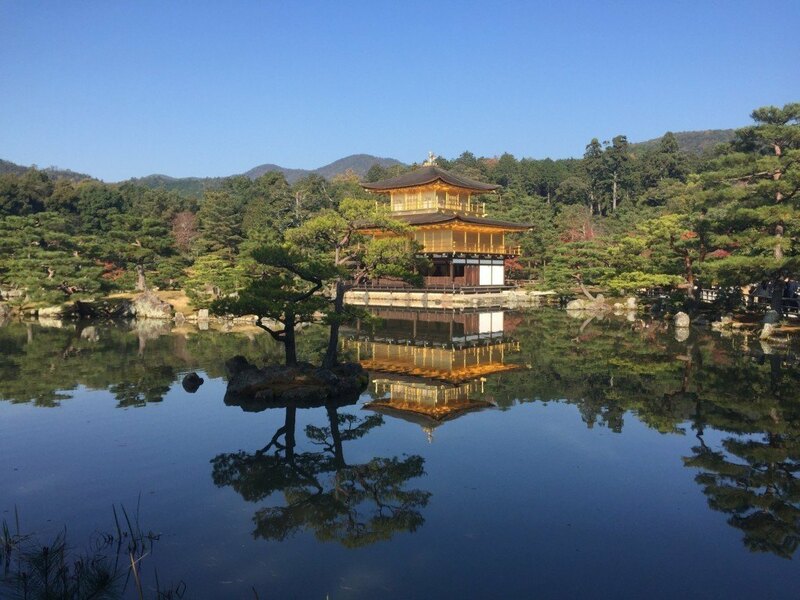 A superb place to do some temple-hopping without the crowds that can sometimes plague Kyoto’s most famous sights. 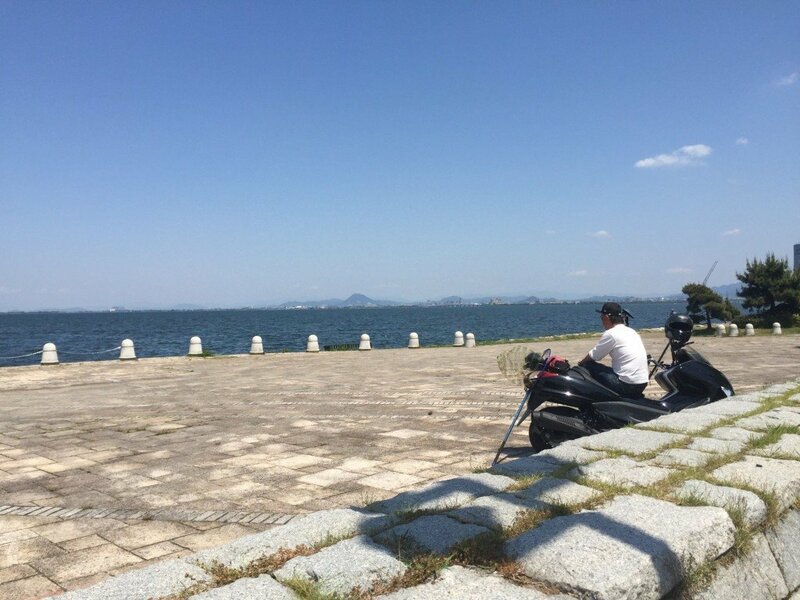 Before heading back to Kyoto, I heartily recommend a little stroll along the promenade that runs along Lake Biwa’s edge near Otsu Station. No rush to get back to Kyoto!